The Airpark has been closed for renovations since Feb. 24 and is scheduled to reopen Thursday, March 20. 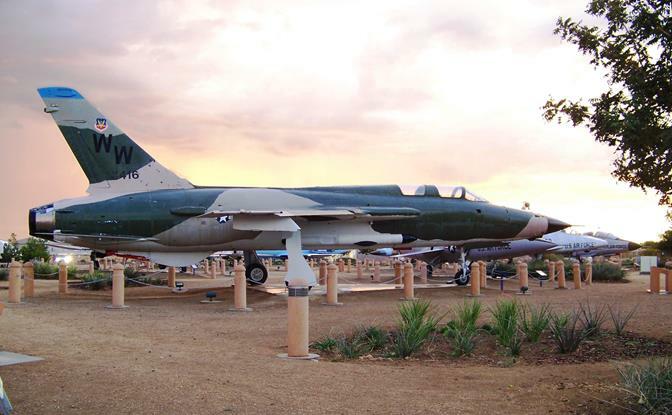 PALMDALE – The City of Palmdale continues its “Season of Service” program with a “Pre-Summer Flight Check” this Saturday at the Joe Davies Heritage Airpark. The service project takes place from 8:30 a.m. to noon Saturday, March 15 at the Airpark at Palmdale Plant 42, located at 2001 East Avenue P in Palmdale. Volunteers will put the finishing touches on work that’s been going on at the Airpark since the end of February. Volunteers must be 12 or older to participate. Volunteers under age 16 must be accompanied by an adult. All participants must complete a “release of liability” (available at www.cityofpalmdale.org or at event registration). Participants should wear closed-toe shoes, be prepared to walk over uneven terrain, and use work gloves and sun protection. Water will be provided. Verification of service hours is available. The Airpark has been closed for renovations since Feb. 24 and is scheduled to reopen Thursday, March 20. New curbs along the various paths throughout the park are currently being installed, thanks in part to a donation of more than $104,000 by the Warnack Foundation. “My mom, who is now 89 and living in Burbank, worked in both Palmdale and Burbank Lockheed Skunk Works for 36-plus years on projects such as the SR71 and TR1 so aircraft were always close to our family’s hearts,” Shaughne said.